Medical & Clinical Reviews Journal from Insight Medical Publishers will offer latest literature insights in the Medical and Clinical research areas. It offers a platform for in depth analysis, basic, fundamental and applied aspects of ever expanding Medical and Clinical research findings. Not only this Medical & Clinical Reviews offers a wider scope podium to express opinions, discuss and dissemnate anything of Medical and Clinical relevant to living things on the planet Earth. As planet Earth is a dynamic living biome all life processes are intertwined and same is the case with the diseases, medical or clinical conditions. The main scope of this journal is to publish exclusive open access reviews and opinions anything coming under the umbrella of Medical and Clinical aspects. 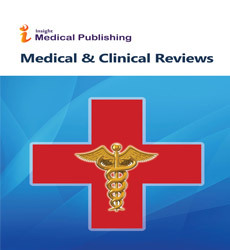 Medical & Clinical Reviews Journal intends to publish Mini Reviews, Regular Reviews, Commentaries, Opinions, Reviews and Opinions of case reports, Systematic and Observation Reviews, Clinical Practice Experiences etc. A unique trendsetting opportunity this journal will be providing or intends to publish for medical and clinical researchers is images, figures and clinical diagnostic report reviews. For example some of the doctors and Professors might come across a unique figures, images or case reports for which they would like to comment or write a review or an endorsement or rebuttal and we heartily welcome such contribution in our journal.